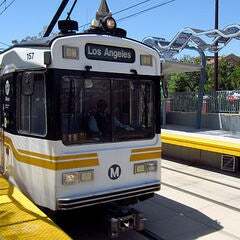 Go Metro and Go Everywhere in L.A. 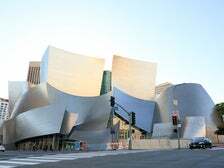 Downtown Los Angeles has undergone a revitalization the past several years, growing beyond the city's business center to becoming a cluster of various neighborhoods with their own distinct personalities. From the Arts District to the Historic Core, and Chinatown to South Park, every enclave makes Downtown rich with culture and opportunity. 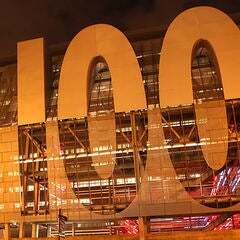 Check out a few of the lesser-known attractions, which highlight the best of Downtown's history, its exciting present and bright future. 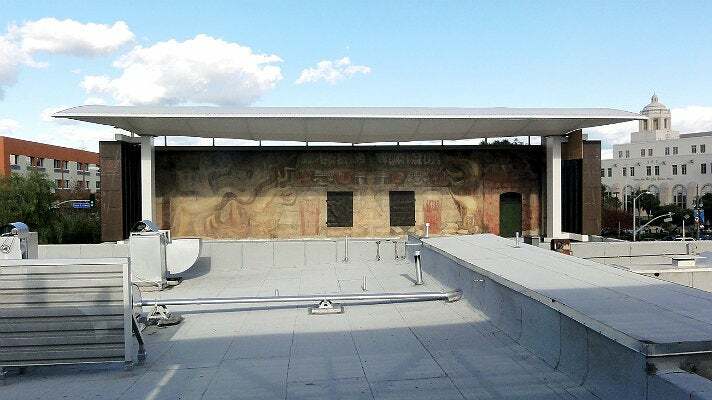 América Tropical is the only U.S. public mural by Mexican artist David Alfaro Siqueiros still in its original location. Located on the second story exterior wall of the Italian Hall, the mural depicts a Mexican Indian crucified on a cross beneath an American eagle, with two sharpshooters aiming at the eagle from nearby. The 80x18 foot mural created controversy ever since its completion in 1932, and was completely painted over within its first decade. Beginning in 1988, América Tropical was restored by the Getty Conservation Institute in collaboration with El Pueblo de Los Angeles Historical Monument, and opened to the public in October 2012 with a new viewing platform and interpretive center. 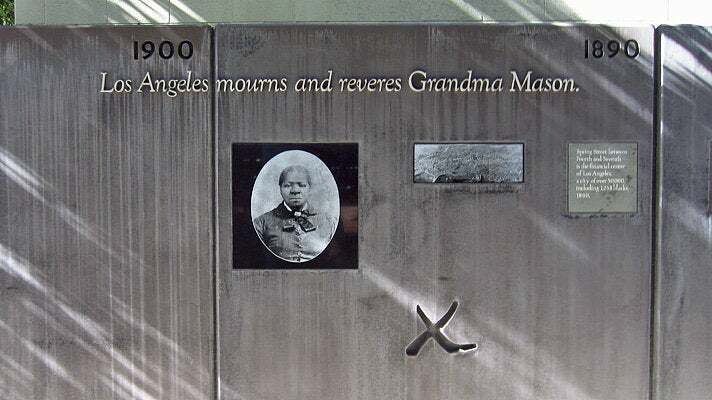 Hidden in a courtyard off Broadway and Spring Street, between Third Street and Fourth Street, is a park dedicated to Biddy Mason, affectionately known as “Grandma Mason.” Born a slave in the South in 1818, Mason went on to eventually win a petition for her own freedom in Los Angeles court, as California was a free state. Subsequently, she worked as a nurse and midwife in LA and gave time and money to charities, the poor and the imprisoned. She also became one of the first African Americans to purchase land in the city, and was a founding member of the First A.M.E. Church. 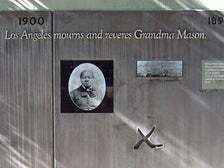 This park features a timeline that traces her life's struggles, resounding philanthropy and numerous accomplishments. 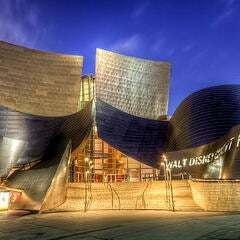 While Walt Disney Concert Hall is known around the world as an architectural marvel designed by Frank Gehry, most people are unaware that the famed architect also designed A Rose for Lilly, the Lillian Disney Memorial Fountain. 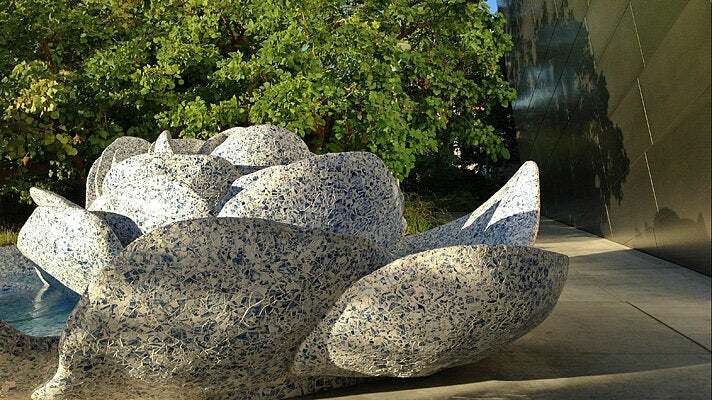 Made of Royal Delft, the fountain is located in the hall’s rooftop Blue Ribbon Garden, a Downtown oasis with a great vantage point for views of the Hollywood Sign, Los Angeles Central Library and even the San Gabriel Mountains. 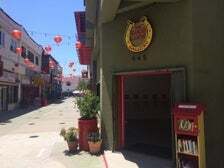 While this prestigious gallery is the realization of Ed Freeman's mid-life career change from musician to fine arts photographer, it's also indicative of a revitalized Chinatown as one of Los Angeles' leading art gallery districts. 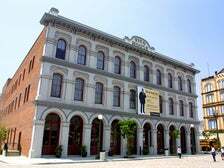 There are many rotating exhibits in the space, ranging from John Byan to Cathy Ward. 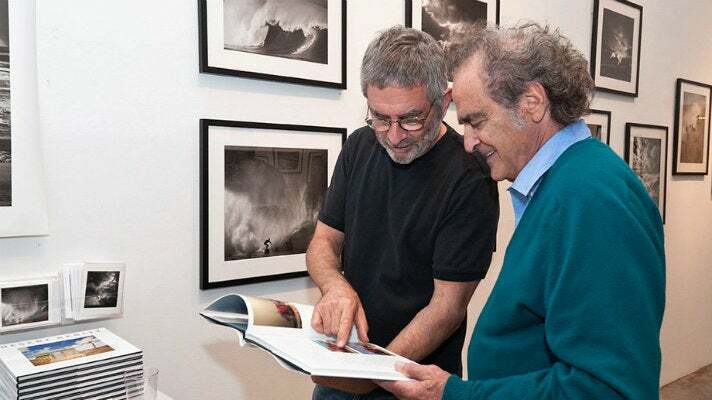 Gallery hours are Wednesday-Sunday, 12:00-5:00 p.m. 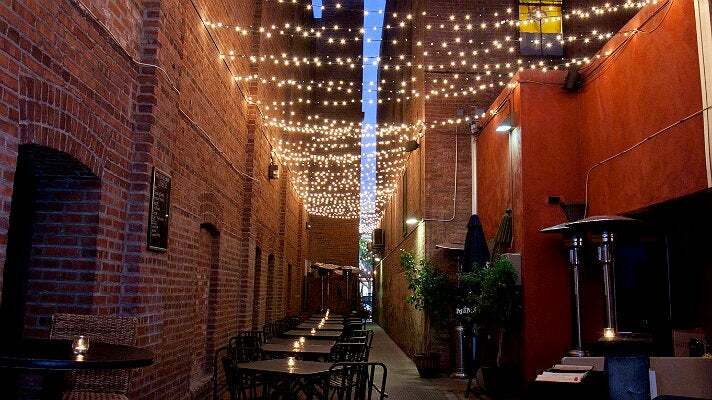 Enter this charming bar - accessible from First Street through a long, narrow brick hallway - and enjoy no-nonsense fare and a full bar, including a massive whiskey selection, Asian-influenced cocktails, an extensive sake list, and an enviable set of beer taps that rolls almost 40 deep. 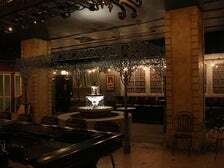 Of course, it's also got a great happy hour (Tuesday-Friday, 3:00-7:00 p.m.) with items as low as $3.50 each, but if you take public transportation (bus or rail) you'll also score 10% off your bill. Located in the space that was formerly The Gorbals, The Little Easy features New Orleans-inspired fare and cocktails in a gorgeous space that evokes the Crescent City’s Garden District. Open for lunch, dinner and weekend brunch, The Little Easy serves classic N’awlins drinks like the Sazerac and the Vieux Carre. 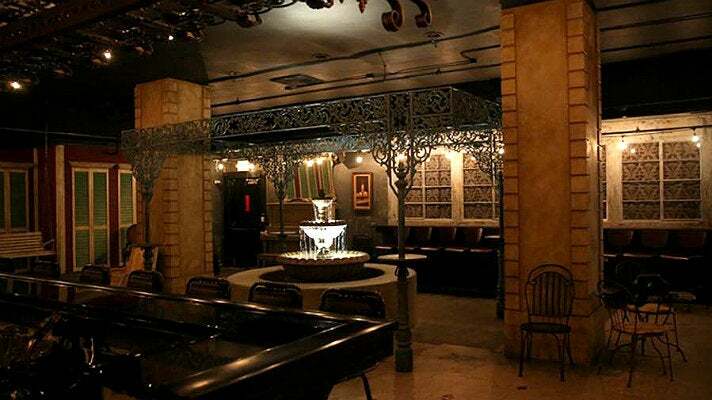 Pair your cocktail with favorites like seafood gumbo and jambalaya, or head to the expansive back room - complete with a water fountain and porch swing - and enjoy live music on some nights. 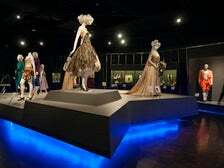 The museum at the Fashion Institute of Design & Merchandising (FIDM) was originally a collection of personal garments gathered by staff and faculty for the purposes of educating students in textile drape, pattern structure and finishing techniques. At its formal establishment in 1978, Betsy Bloomingdale generously donated many French haute couture ensembles to the collection. 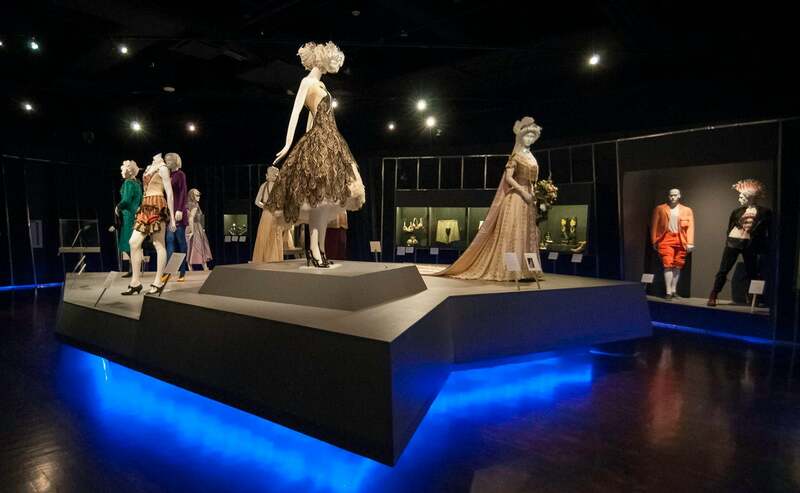 Today, the museum showcases over 15,000 objects of European and American design dating as far back as 1800 and collected from over 1,000 donors. Admission to the museum is free. 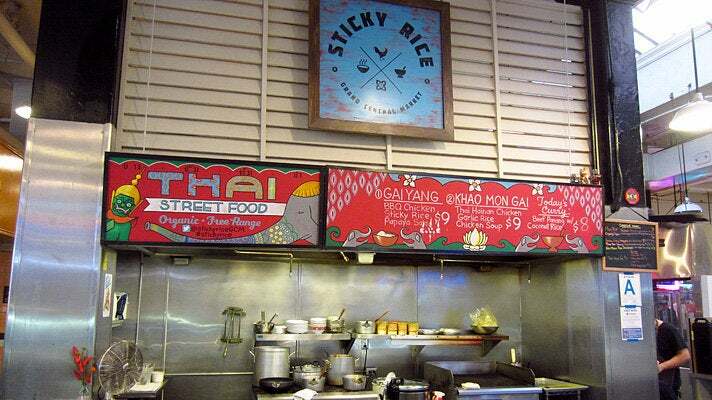 There are many great spots at which to eat and drink amongst the old and numerous recent additions at the historic Grand Central Market, but Sticky Rice stands out for its very small menu of fantastically executed Thai dishes. Be sure to check out the daily special and eat at the counter, as its open kitchen is a delight to observe at the small stand. 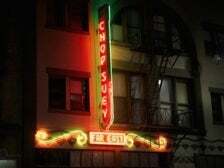 Menu favorites include Hainan Chicken over garlic rice, Thai sausage and Thai BBQ chicken. 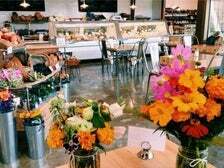 Urban Radish is a more than a 8,200-square-foot grocer in the Arts District. 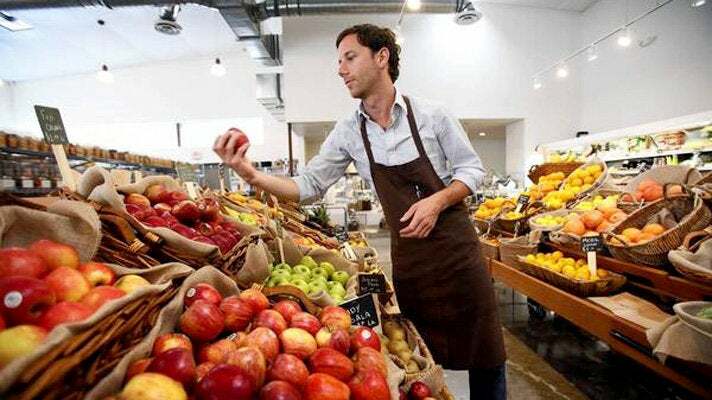 It's a neighborhood-focused small business geared towards upscale Downtown Los Angeles clientele, supplying spices, cured meats, artisan cheese, ready-to-eat selections and more, with an emphasis on quality product. 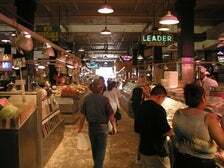 They've also got a great roster of ongoing events, from Jazz Wednesdays to Meet the Maker days, where you can sample and meet the artisans behind the products in their store. To get to The Varnish - named Best American Cocktail Bar at the 2012 Tales of the Cocktail Spirited Awards - you have to pass through Cole's, one of L.A.'s best French Dip places and an excellent bar in its own right. 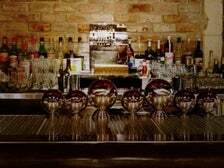 Once you settle into this speakeasy-style bar and taste your first sip, it'll all be worth it. 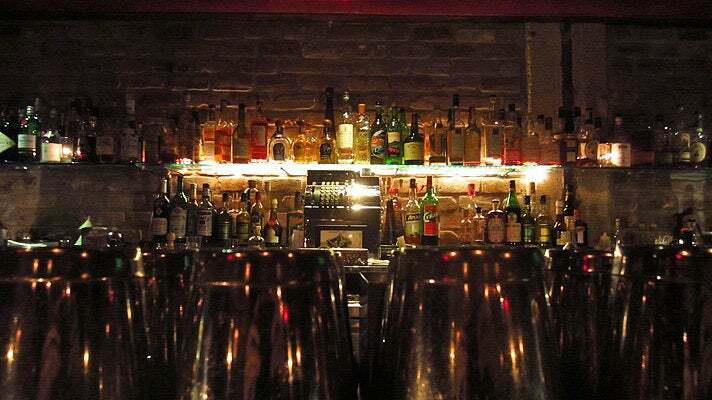 You're bound to find a drink right up your alley at The Varnish, where the bartenders at this classic-driven cocktail bar will shake or stir your libation to your liking.